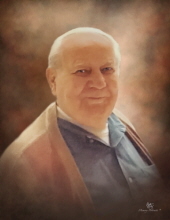 Funeral services for John Thomas Zuroske will be held at 1:00 p.m. on Tuesday, February 5, 2019, at Jeane’s Funeral Service. Burial will follow in the Old Leesville Cemetery. A visitation time for the family and friends of Mr. Zuroske will be held from 5:00 p.m. to 9:00 p.m. on Monday, February 4th at Jeane’s Funeral Service. Mr. Zuroske was born on March 23, 1935, and passed away on February 1, 2019, at the age of 83. He was a native of Illinois and worked there as a boilermaker. After moving to Louisiana, he met the love of his life, Martha, and found out that he didn’t have to shovel snow anymore. Mr. Zuroske joined the U.S. Army in 1958 and served in both Korea and Vietnam before retiring as a Master Sergeant. He owned and operated J & M Used Cars until his retirement. Mr. Zuroske was a wonderful cook and enjoyed going to the casino, gardening, and fishing. He was preceded in death by his son John Thomas Jr., parents George and Ida Zuroske, eight siblings, nephew Jay Weeks, in-laws Hoyt and Ruth Woodle, and brother-in-law Steve Weeks. Words of comfort and memories of Mr. Zuroske may be left for his family and friends at www.jeanesfs.com. To send flowers or a remembrance gift to the family of John Thomas Zuroske, please visit our Tribute Store. "Email Address" would like to share the life celebration of John Thomas Zuroske. Click on the "link" to go to share a favorite memory or leave a condolence message for the family.